Display problems in Nokia 3310 TA-1030 are surely considered to be one of the worst ones, and this is because a person has to do something on an immediate basis in order to overcome this problem, and the worst thing is that this is known to be one of the most expensive repairer solutions as compared to others. The LCD screen of Nokia 3310 has gone through some sort of physical damage (most of the time this is the case of Display problems in Nokia 3310 TA-1030). 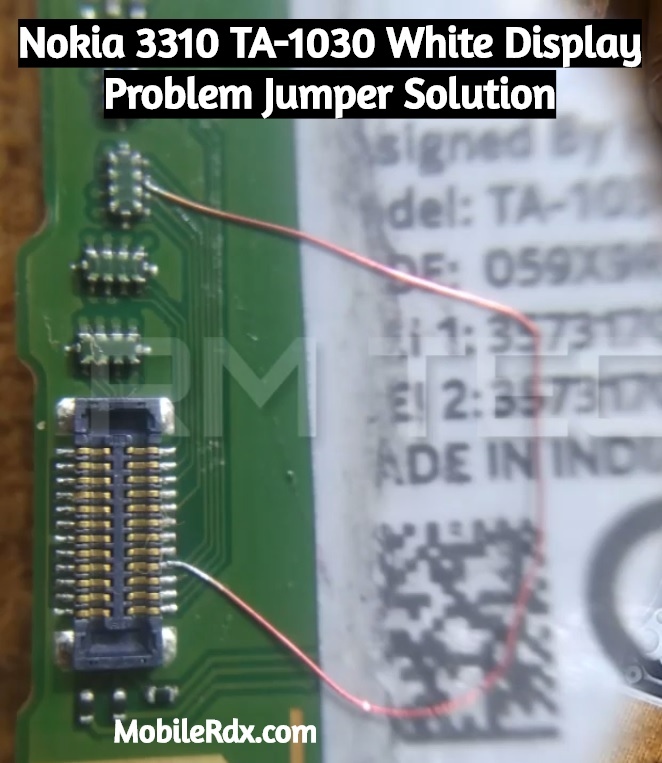 Nokia 3310 TA-1030 White Display Problem, Blank Screen, White Lcd Solution, No Light On Display, Display Connector Ways, Nokia 3310 TA-1030 Display Problem Solution, Jumper Way.